As-Built Solutions is a privately owned corporation located in the surrounding suburbs of New York City. Our business goal is to offer our customers relief from the tedious and time consuming process of creating and maintaining as-built drawings. Our high quality services can be applied to any trade in the construction industry however, our specialty is in the electrical portion of a construction project. As-Built Solutions can assist in any size project whether it is a�one or two page drawing project to a 100 story office building.�To take full advantage of our company�s services�on large projects we recommend you involve us in all stages of your project (see our Start to Finish program). This will make the final as-built product easily achievable and affordable. Having many years of on-site electrical construction experience�allows us to better translate the information from the job site to the contractor�s office. 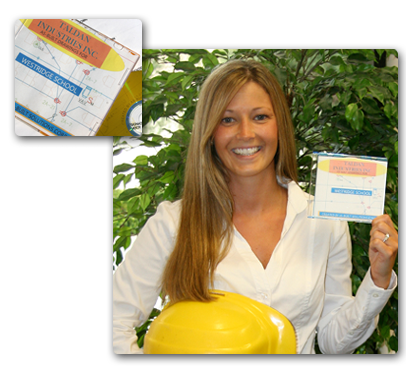 Send us your torn, stepped on or coffee stained drawings and in no time, we will send you back a professionally created CAD disc (with hard copy drawings if requested) for presentation to your client. This will allow you to spend your time more effectively in bidding new work or concentrating on work in progress. As most construction projects now require as-built drawings, usually in CAD format. It is our desire to help you and your business save time and money by using our service to perform the task of preparing the final as-builts and provide you with project layout and project coordination. Your drawings can be shipped to us or you can e-mail plans, pictures or video. For more information please e-mail us at Generalinfo@as-builtsolutions.com. Copyright © 2010 As-Built. All rights reserved.